The CB series centralised units for emergency lighting in switched mode or without breaker are designed and built in accordance with EN 50171. 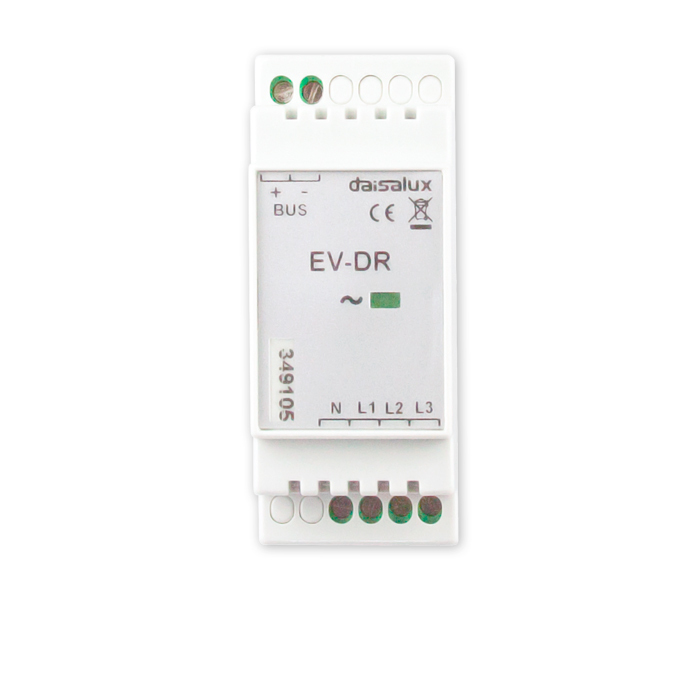 It is a centralised unit with 230 Vac / 24 Vdc output voltages and a maximum power output of 800 VA, 1250 VA, 2500 VA and 5000 VA. (Contact Daisalux for information about other outputs). 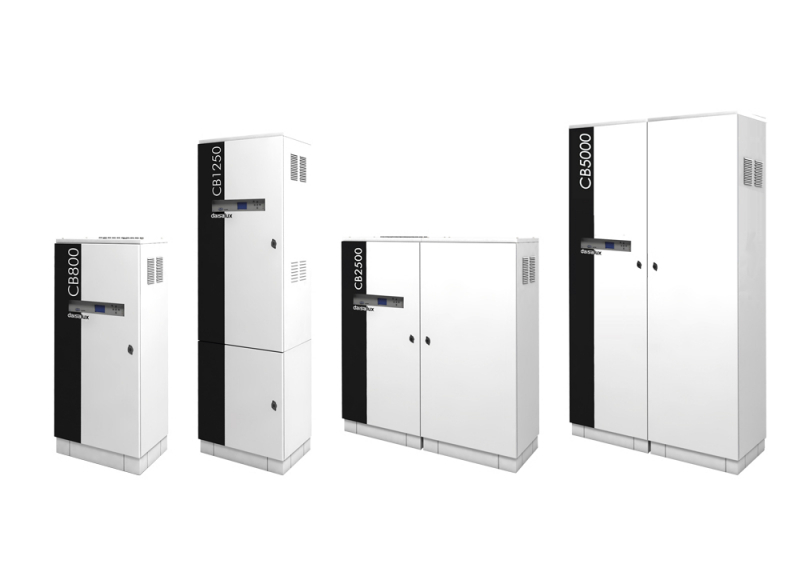 Maximum of 20 output circuits in CB800 and CB1250 units, 40 circuits in CB2500 and 60 circuits in CB5000. Option of configuring different autonomies for each output circuit. Control panel for configuration and monitoring of the central battery. Ethernet connection with PC for DaisaTest System. 2 auxiliary inputs for remote actions. 1 x 230 V output for installation of EV-ALIM bus power source. 5 dry contacts for faults, alarms and central battery status (EN-50171). 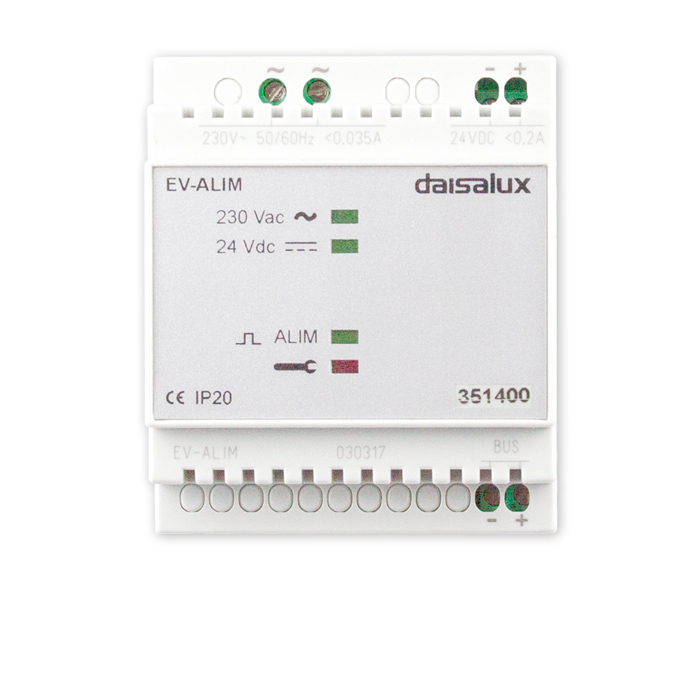 Each CB unit output circuit is configured as "maintained / nonmaintained" and assign this operating mode to all luminaires without communication (non-ELC) connected to said circuits. If the unit and luminaires are communicated (ELC), "maintained / nonmaintained" operation is individually configured in each luminaire and is independent of the circuit configuration. The DaisaTest application can monitor and control an indefinite number of units. No communication accessory is required. Status general of the central battery, batteries, rectifier and fault alarms. Central battery configuration, dry contacts and Aux in. Output circuit and communicating luminaire configuration. 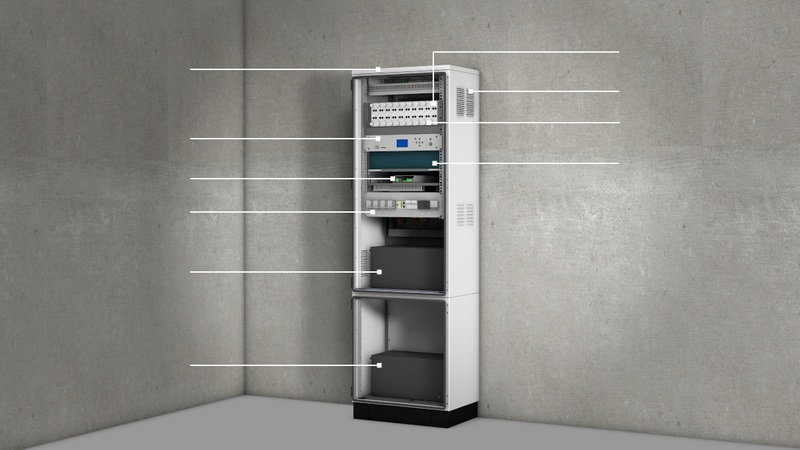 The monitoring unit controls the most critical aspects of safety (EN-50171) of the CB units such as the status of the battery-charging rectifier, the general condition of the central battery, the status of the inverter, status of the output circuits and runs functional, duration and battery capacity tests. It controls the charge voltage and current of the batteries and their temperature. Definition of the general duration of the central battery or output circuits. Configuration of the output circuits as maintained / non-maintained and ELC luminaires. Configuration of EV-DR and EV-PD detectors. SD card with central battery configuration log, test results and status of the ELC-type luminaires. Remote EV-DR network fault detector. Network fault detector for CB series centralised unit. 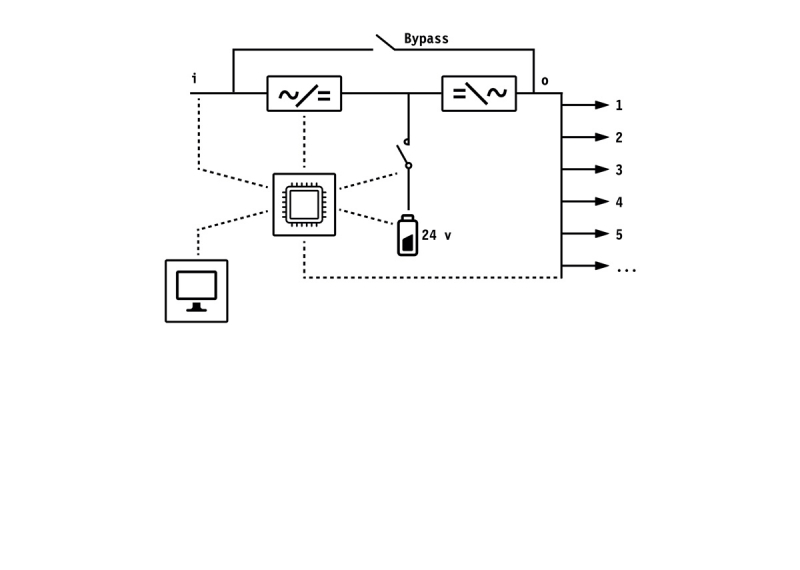 In the event of a network failure it sends a signal via the EV bus to the CB unit which enables configuration of the command to activate one or more output circuits. Sending signal to centralised unit via EV bus. 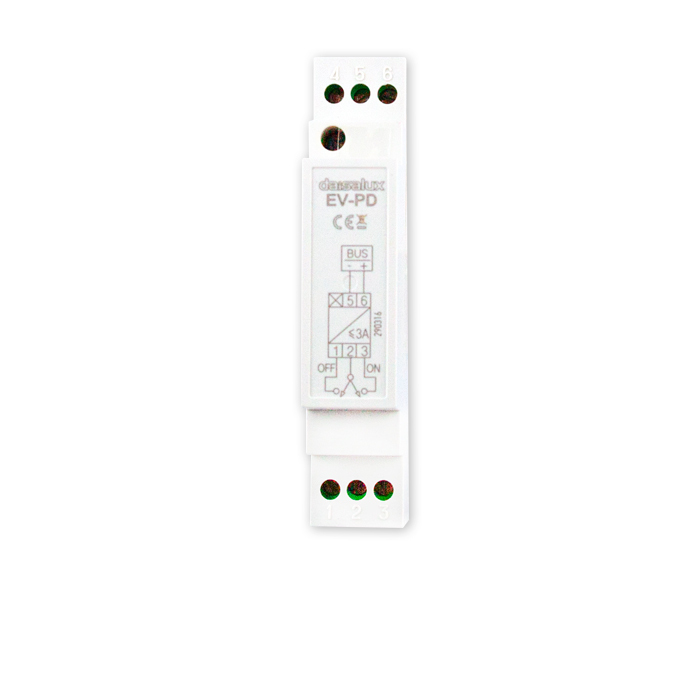 Level detector for CB series centralised unit. It has two monitoring inputs (1-2 and 2-3) that enable configuration of activation order of one or more central battery output circuits. 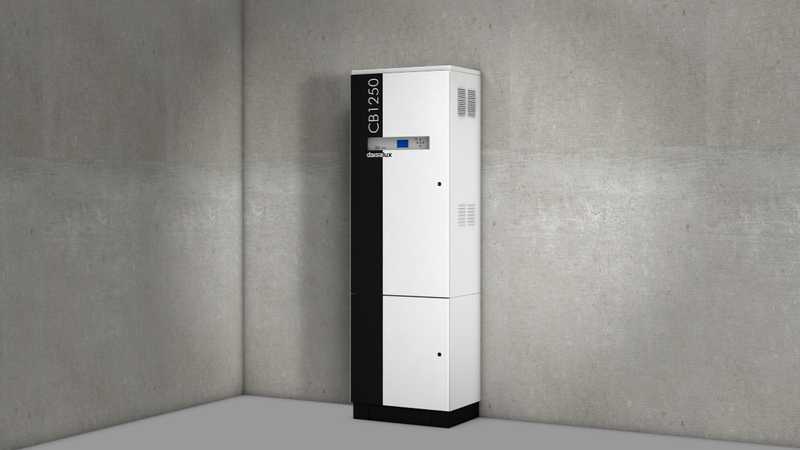 Power source for EV devices connected to centralised CB series unit. It supplies the devices connected to the unit through the EV bus itself. The number of devices supplied depends on their distance from the power source. The capacity is a maximum of 10 devices at a distance of 400 m.